At the end of February, it was reported that famed trainer and host of The Biggest Loser, Bob Harper, had suffered a non-fatal heart attack. For many of you, it might come as a real surprise. After all, how can someone so healthy and fit undergo a health scare commonly associated with the people we see him trying to save on television? 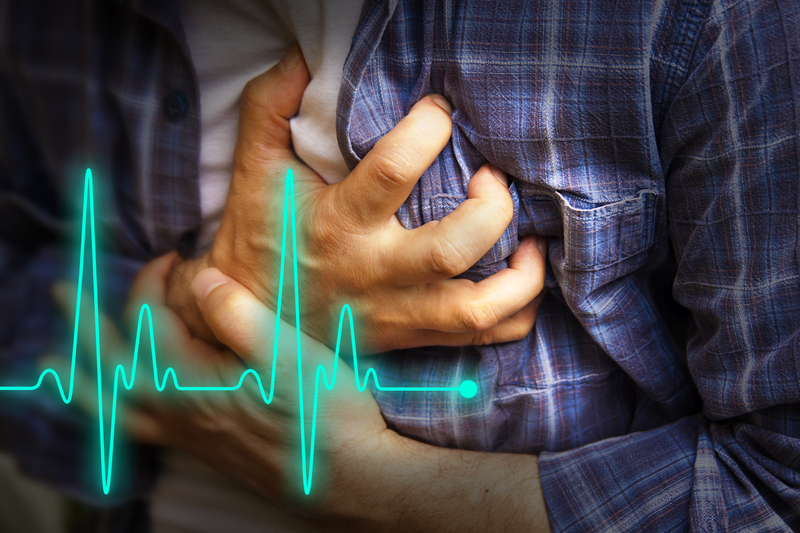 There are a number of factors that play into your risk for a heart attack. And although not smoking, maintaining a healthy diet, and exercising regularly can all significantly reduce the risk, they can’t completely eliminate it; family history—your genetics—can also play a role. Some people have high cholesterol in their family history and even a preventative lifestyle can’t always counteract it. This was likely what led to Harper’s heart attack. Age also plays a role as a heart-attack risk factor, so at 51, Harper’s age did increase his risk. As you can see, many of the risk factors are within your control; one of the few you can’t control is family history. But even if your family history of heart health isn’t good, the benefits of a healthy diet and active lifestyle heavily outweigh the risks. For example, there is a very small risk of suffering a heart attack in the hours following a workout, but overall, exercise lowers blood pressure and improves heart health. The key is to be smart about your activity. If you have a family history of heart disease or cardiac events, or even if you’re planning on starting an exercise regime and are pretty inactive, talk to your doctor first. Your doctor can let you know what your current exercise capabilities are, keeping your regime as safe and suitable as possible. If you go to a gym first and speak with a trainer, be sure to tell them about your concerns and family history. They should run a few standard tests like measuring blood pressure, but ultimately they should send you to a doctor to perform a supervised stress test. If a trainer tries to put you right out on the floor without a fitness test, walk away and book a doctor’s appointment; they are putting your life at risk. A preventative lifestyle can still reduce the risk of a heart attack and is highly recommended, but it offers no guarantees—as Bob Harper’s situation clearly indicates. You should understand this and look into all of your risk factors so that you’re as prepared as possible. Also, who knows what could have happened to Harper if he didn’t follow his healthy lifestyle? By being safe and incorporating exercise into your life, you can experience concrete health benefits and reduce the risk of a serious event. Christensen, J., “’Biggest Loser’ host Bob Harper ‘feeling better’ after heart attack,” CNN, February 28, 2017; http://www.cnn.com/2017/02/27/health/bob-harper-biggest-loser-heart-attack-bn/, last accessed March 1, 2017. “Lower Heart Disease Risk,” National Institutes of Health, February 2017; https://www.nhlbi.nih.gov/health/educational/hearttruth/lower-risk/risk-factors.htm, last accessed March 1, 2017.